The ‘Train 18″ often called the engineless train would now be inaugrated in Jan 2019. As per earlier reports the train was to go into service as early as November 2018. The Train 18 is capable of achieving a speed of 160 km per hour. The ‘Train 18 ‘ would replace the Shatabdi and reduce journey time by 15%. The 16 coach train designed by ICF manufactured in 18 months. The train will run for the first time between between Bhopal and Delhi. The train has a faster pick up than normal trains. The train is designed keeping safety in priority, there is enough cushion to prevent train derailment and in case of collision no train can climb one over the other. This would reduce fatalities and injuries if unforseen circumstances. 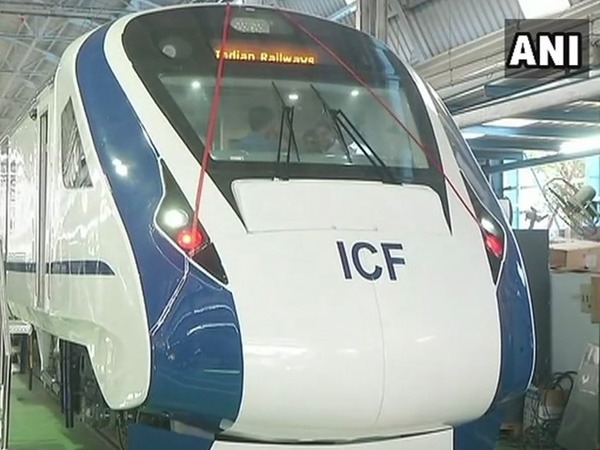 The train was received at Chennai, it will begin it’s trial run before it finally joins the railway fleet early next year.